This is NOT the Leicaflex in question – but it’s still pretty cool; Check out the lens. I love stories (usually apocryphal), of rare Leicas bought at yard sales or found in a dead uncle’s attic. It’s cheap permission to daydream, to indulge an escapist fantasy – highly unlikely, but it could happen to me. The tall tales are often propagated by otherwise reliable sources, attesting to the seductions of the story, but, then again, one never knows what you might end up with via an ignorant Ebay seller or Craigslist advert or eccentric uncle. So imagine you’re the guy in 1978 who buys a used Leicaflex, serial number 1169048, from the Canadian Department of Lands and Forests who’s selling it, along with 4 Leitz lenses, as superfluous stock. You use it for a few years, and then one day you remove what appears to be a glued on brass plate covering the front of the pentaprism (because it looked odd and you’d just compared your model to another Leicaflex you found in a camera shop that didn’t have that brass plate) and you find, engraved on the camera “E II R” and below it “1867/1967 CANADA” with crown and stylized maple leaf centenary symbol. What the…? It turns out that the camera you bought, along with the four lenses, was to be a present to Queen Elizabeth II by the Canadian Government on the occasion of her visit to Ottawa for Canada’s Centenary celebrations in 1967. 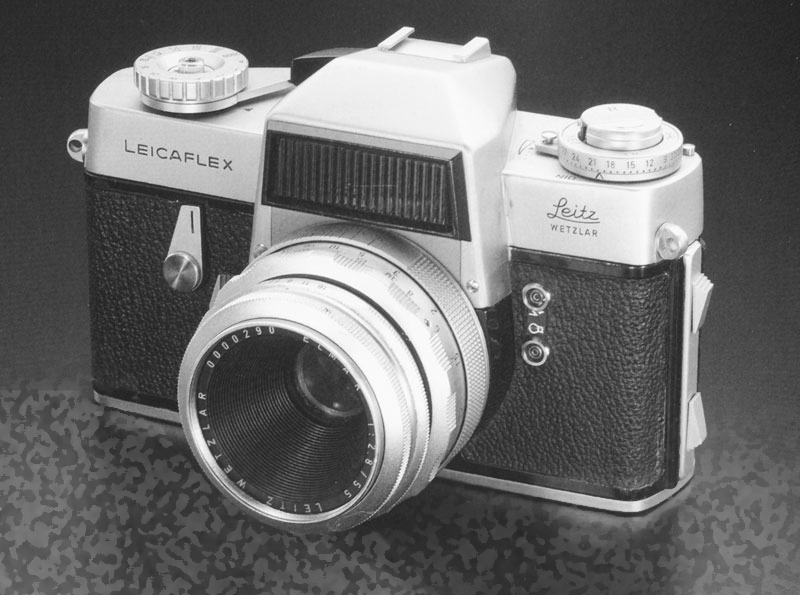 After having special ordered the camera from Leitz, the Canadians learned the Queen already owned a Leicaflex – given her by the West German Government no less- so they shelved the idea (God only knows what they did end up giving her – a jug of virgin maple syrup, or gold hockey puck? ), had someone fashion a brass plate to cover the engravings and sent the whole outfit off to the Department of Lands and Forests for use by an unsuspecting staff photographer, where it was well-used and eventually sold as superfluous to requirements. On a related note, readers of the blog might have gotten the opinion that I don’t like the U.K. Royal family, based on a few previous posts accusing them of being lay-abouts and funny-looking social parasites. Not true, and even were it true, I’d have no room as an American to make fun of another societies’ governance, given the insane clown who currently heads our government. 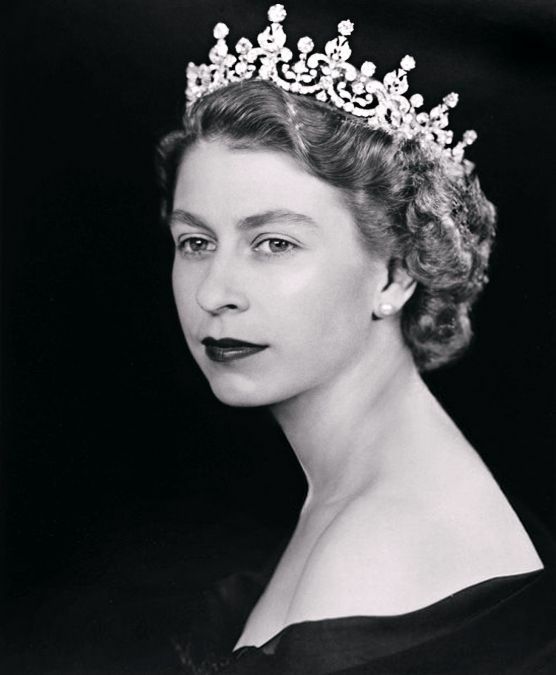 I will say this about the Queen – in my admittedly idiosyncratic opinion, she was a real looker when young. Check out the photo above and tell me I’m wrong. Her kids, however, are a different story. This entry was posted in Collectible Leicas, Leica Film camera, Leicaflex and tagged Leicaflex on March 14, 2017 by Leicaphila. I well remember the Leicaflex Standard landing with a thud in the mid sixties. The previews in the Pop and Mod photo magazines didn’t prepare for the mass and girth of the derided “Diesel Leica.” It had so many limitations- no through-lens metering, skimpy lens selections and slow at that, and then there was the expense! The cost/ features ratio was just not competitive with the best reflexes coming from Japan. But what a magnificently overbuilt handful of gears and glass! How important was behind the lens metering? How many lenses did anyone really use? Who needs a motor drive? Well it seemed obvious then as now that the L-flex was designed for the well-to-do amateur enthusiast, not at all for the working pro. It is unbelievably precise and just as unbelievably low priced in today’s market. Regrettably the magnificent 50/Summicron is coveted for modern digi-cam users but is still a bargain, especially compared to the current version. The biggest worry is propensity for fungus in the prism. Repairs are expensive. But such a monument to the quaint notion of making something as well as can be done! I suspect our would-be monarch would prefer a gold plated R3. R3 (and the Minolta XE-7 on which it was based) is magnificent as automatic SLRs go. One of the nicest shutters ever put in a camera. And, as far as I know, the only Leitz SLR that was available gold plated from the factory. More a conversation piece than working tool, though noted, the R3 is itself a fine camera. I wish I had kept mine.